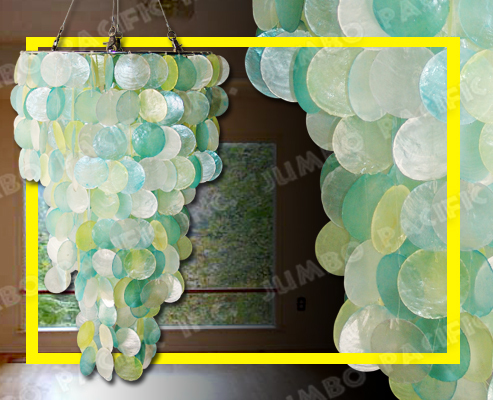 Description:3 layers Capiz chips in light blue, light green, light yellow and white round design. 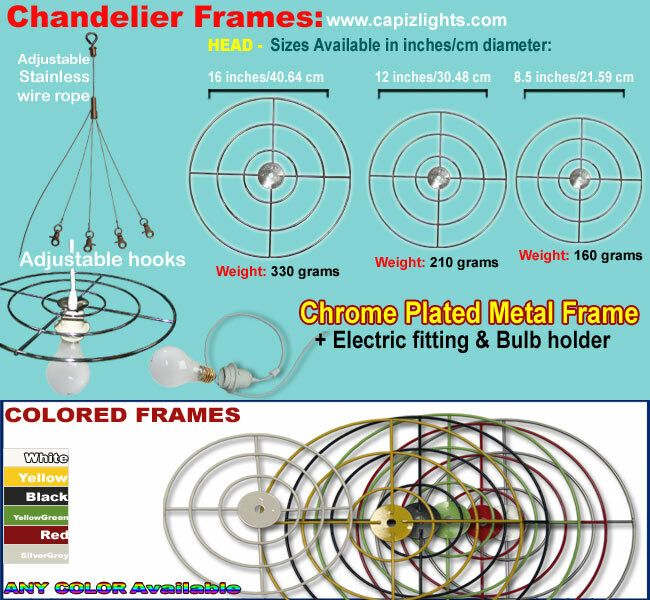 Height: 21 inches base to bottom. 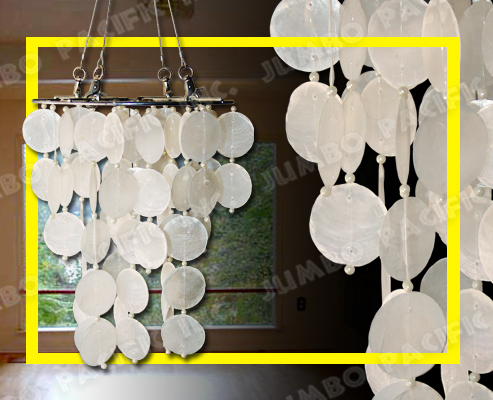 Description:3 layers Capiz chips natural white in round design. Height: 17 inches base to bottom. 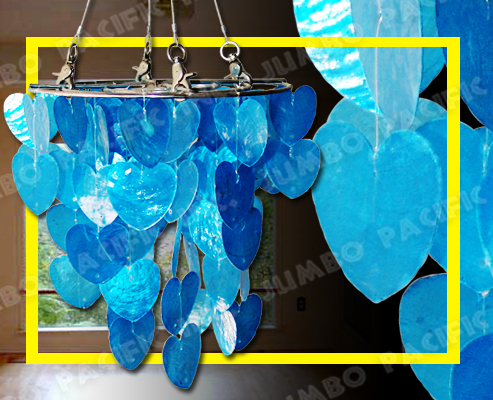 Description:Capiz chips blue in small heart design. Height:9.5 inches base to bottom. 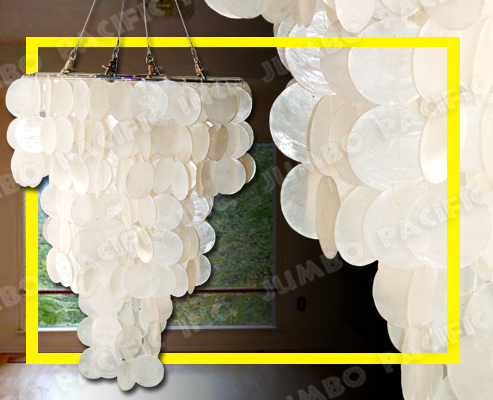 Description:3 layers white Capiz chips 50mm diameter chips round design. Height:11 inches base to bottom. 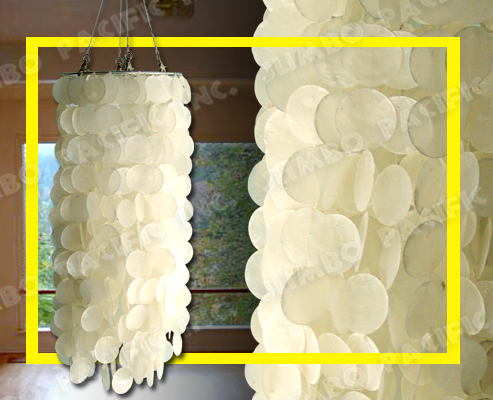 Description:Capiz chips natural white in round design. Height:22 inches base to bottom.